We know club soccer is very expensive. Therefore, we constantly strive to deliver the best possible program at the lowest possible cost. SF Seals is proud to constantly innovate and refine our program in order to maximize the development of all Seals players. As an Approved Public Benefit Organization (APBO), SF Seals will be able to deliver our program without charging extra fees for practice fields from SFRPD. One fee covers annual program's pre-season training, Fall league, Winter league or futsal and Spring league seasons. For more information, please contact yjshin66@gmail.com or register for more information by clicking on the link below. Personal equipment such as cleats, shin guards, and optional team gear such as jackets and backpacks. Player travel costs for practices, games and tournaments. Coach flight, lodging & meals for overnight tournaments, if any. Team expenses such as game snacks, team parties and other out-of-pocket expenses. Each team must meet residency requirement that 90% is made up of SF residents. 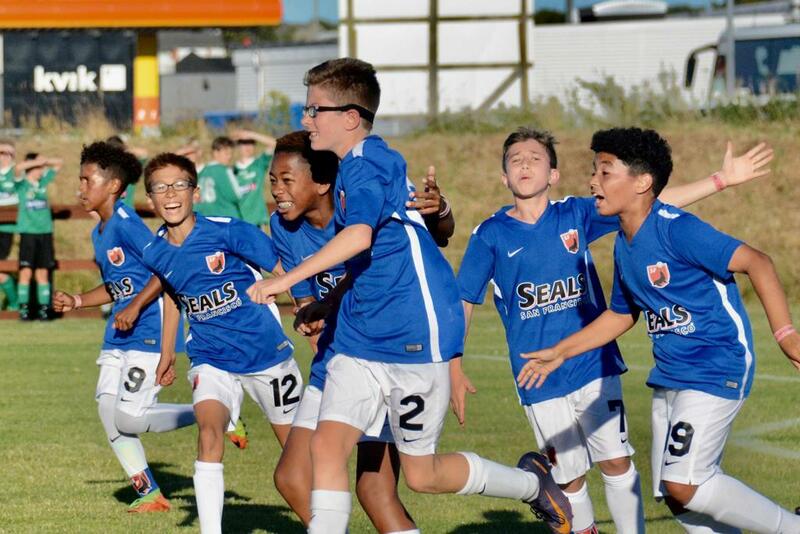 At SF Seals, our primary objective is player development. We believe that playing in games as well as diligently participating in scheduled training sessions are important components of the player development process. Recreational Soccer - we adhere to SFYS rec league guideline of minimum of half a game for every player. However, if a player is misbehaving or acting in a manner that seriously and negatively impacts the overall experience for his teammates, the coach may withhold the player from participating further in a game. 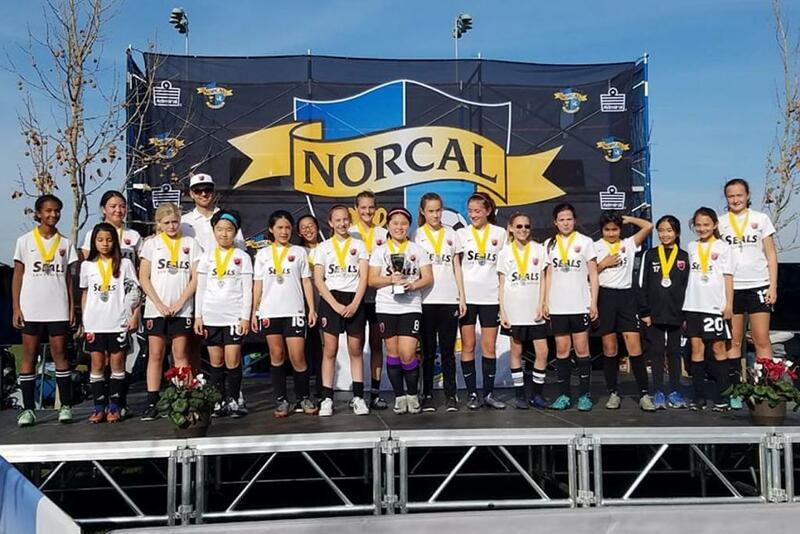 Competitive Soccer (Bronze/Silver) - while there are no minimum playing time rules set by playing leagues, our coaches will always give playing time to all players who are attending training sessions and working diligently to improve themselves and make a positive impact on the team. Typically, all players should expect to play a minimum of 1/3 to 1/2 of a game. Competitive Soccer (Gold/Premier) - our most competitive teams may utilize more variable playing time tactics based on the significance of each game. However, it is extremely rare to have any player not play in a game. When a team's game roster is short due to conflicts for players (vacations, school activities, illnesses & injuries, etc. ), the team will invite appropriate guest players from other teams in the club (as allowed by league rules) in order to field a full team for the game. In select cases, the Director of Coaching may move a lower level or age player up to a higher level or age team game in order to further accelerate that player's development path. In most cases, this is combined with shortage of players on the higher level or age team. SF Seals do not move "ringers" or higher level players down to a lower level team for the purpose of winning games. We strive to provide appropriate, yet challenging level of competition for each team in order to maximize the development opportunity for our players. Once a player has been registered to play for the team, the player is committed for the annual program. There are no refunds except under special conditions as each team's annual budget is based on the annual program fee of registered players. Special pro-rated refund requests may be submitted in writing to the Seals Executive Director and the Director of Coaching for consideration. For players and teams interested in special arrangements such as Fall or Spring season only, please contact us for more information.